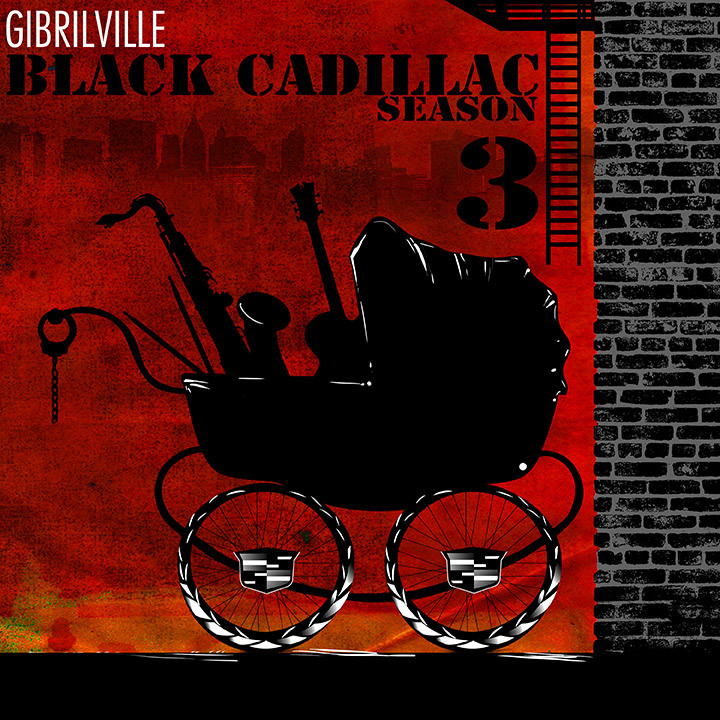 Gibrilville’s “Black Cadillac Season 3” is a collection of 13 lyrical pieces of art that counter today’s trending sound of booming trap beats and repetitive rhymes, and a bonus track featuring a live performance. If you’re someone who enjoys an artist with a stance on social issues such as police brutality and has a backstory, then this project is for you. Gibrilville uses his unique background of cultural ties to Ghana and being based in Brooklyn to create a diverse sound that is unique but pays homage to the birthplace of hip-hop. This lyrical adventure is welcome in an age where lyrics are few and far between and the beat usually makes the song. Instead of focusing on punchlines, Gibrilville uses his strength in storytelling to relate to his audience. The thing about this album that really stood out was the use of live instruments as opposed to just software to give the songs the right feel. Hearing the guitars, drums and horns gives this album a bit of a jazzy vibe - perfect for the realness of the project. The addition of feature singers and a choir really drive home the Christian messaging of this album. The appeal of “Black Cadillac Season 3” is that although there are references to God and Christianity, the topics are still relatable enough for everyone, even if they aren’t religious. The rapping and singing on the songs are reminiscent of J. Cole or Kendrick Lamar as they’re catchy but are still oozing with the ‘woke-ness’ that is needed is today’s world of illusions. Bonus points go to Gibrilville for managing to uplift and praise women in and even though the latter is a bit of a breakup song. Overall this album is very motivational and doesn’t shy away from the struggles that come along with achieving success. What listeners can take away from this project is the work ethic required to achieve your goals, Gibrilville uses his own personal stories to help the listener to see that there is a light at the end of a dark tunnel. On the track “Siren” is where Gibrilville goes into depth about the police brutality against black and brown bodies that has finally been brought to the attention of the larger world. This track pays respect to Trayvon Martin and the others who were slain by gun violence and not properly served by the justice system. Gibrilville ultimately calls for peace and for the guns to be put down. Like many rappers, Gibrilville just wants to do great things and provide for the people who helped him to get to where he is - like his mama. If he continues down this path of lyrical offerings, then he should be able to do just that.